The boards of directors govern UCHealth in northern Colorado. Involved in many local nonprofits: Houska/Houska 5k, Halloween Blood Drive, PSS, etc. Former Assistant to the President, Knight-Ridder, Inc. Formerly, Green, Manning & Bunch (investment bankers) and Norwest Corp.
Board Member, Northern Colorado Community Foundation, Denver Council of the Boy Scouts, Children’s Museum. CEO, Associates in Family Medicine, P.C. ; Board certified with the American Board of Family Medicine. John Mentgen started his healthcare career in 1994 with CoxHealth in Springfield, Mo. He held progressive roles leading to the position of administrator of Cox Medical Center North and vice president of support services for CoxHealth. In 2004, he was recruited by one of the nation’s largest healthcare systems in the country, Catholic Health Initiatives, as vice present of operations at the St. John’s Regional Medical Center in Joplin, Mo. In 2006, he was promoted to senior vice present and chief operating officer, a role he held until joining Franciscan St. Margaret in 2009, where he served as executive vice president and chief operating officer to Franciscan St. Margaret Health in Dyer and Hammond, Ind. Franciscan St. Margaret Health is part of the Franciscan Alliance, a non-profit Catholic healthcare system that operates 14 hospitals in Indiana and Chicago, Illinois. 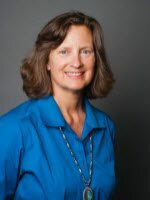 Mentgen holds a Bachelor of Arts degree from Drury University in Springfield, Mo., and a Master of Healthcare Administration from Washington University School of Medicine, St. Louis. He completed his administrative fellowship at CoxHealth in 1995 and is a fellow in the American College of Healthcare Executives. CEO of Otter Products, LLC and Blue Ocean Enterprises Inc.
Former Attorney, Minor & Brown, P.C. Justin & Stef Erion – Gentry, Harper, Sage; Travis & Amy Erion – Tristan and Warren; Eli and Summer Scott – Hailey, Leah, Ivy. Rich retired from International Paper Company after 34 years of service. 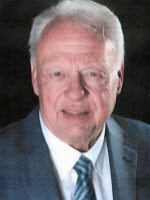 Rich’s career began working for International Paper while in college and concluded his career as President of xpedx, a Division of International Paper Company. Revenues at xpedx during Rich’s tenure were $8 Billion across 240 locations in the U.S. and Mexico. Rich also served as a Senior Vice President of International Paper Company. Rich has served on the YVMC Board since 2010. Rich has served on each Board Committee and has chaired the Finance Committee along with Quality, Safety, and Patient Experience. Rich is currently serving as Board Chair. Rich has served as a SCORE (Service Corp. Of Retired Executives), President of the Yampa Valley Housing Authority, Co-Founder of BikeTown USA. Currently he serves on the Old Town Hot Springs Board of Directors and also serves on the CEO (Creating Entrepreneurial Opportunities) Board of Directors. Mr. Lonnie Cramer was formally the Chief Operating Officer for Penrose St. Francis Health Services. Penrose St. Francis is made up of two acute care hospitals located in Colorado Springs, Colorado. While serving at Penrose St. Francis Health Services, Mr. Cramer held the positions of SVP/Chief Administrative Officer for Penrose Hospital, Chief Operating Officer for Penrose Hospital and Vice President of Operations for Penrose Hospital. From 2011 to 2013, he served as the Administrative Director for surgical services, imaging services and the orthopedic and neurosurgery service lines for Penrose-St. Francis. As the COO for the system, Mr. Cramer was responsible for all aspects of Operations, spearheaded hospital joint ventures and business development initiatives. Mr. Cramer has over 25 years of operational health care experience. He served as Chief Operating Officer at MDiagnostics Inc., a company based in Metairie, La., specializing in outpatient imaging with five centers in multiple states and Director of Diagnostic Imaging Services at the Fort Walton Beach Medical Center in Florida. He began his health care career in the U.S. Army, serving eight years. Mr. Cramer holds a Master’s Degree in Clinical Practice Management, Bachelors in Healthcare Administration and is certified in Angiography, Cardiac Cath, Radiology, Cat Scan, and Magnetic Resonance Imaging. When Mr. Cramer isn’t working he enjoys the Colorado outdoors and spending time with his family. Lonnie and his wife Janet have been married for 27 years and have three children and two grandchildren. Steve has been working in the health care IT field for over 27 years. Steve was named the Chief Information Officer of UCHealth (University of Colorado Health) in 2012. UCHealth is a Colorado-based health care system that includes ten hospitals, including the Rocky Mountain region’s only academic medical center, University of Colorado Hospital, and over 150 clinics throughout Colorado, Wyoming and Western Nebraska. Steve and his team have been focused on implementing consolidated and standardized IT systems across all of UCHealth’s hospitals and clinics, creating a foundation for innovation and transformational care. From 2009 to 2012, Steve was CIO of University of Colorado Hospital where he oversaw the implementation of the Epic EMR and Lawson ERP solutions there. Prior to that, Steve was CIO at Christiana Care Health System in Delaware for five years. 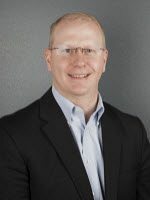 In addition to the EMR and ERP background, Steve has extensive experience with Health Information Exchange, Interactive Patient Care Systems, Patient Portals, Advanced Analytics, and Virtual Health. Steve leads IBM’s Consumer Industry across the company’s portfolio which includes retail, consumer products, wholesale distribution, and agri-business. His organization is responsible for defining IBM’s industry strategy, creating thought leadership, developing offerings and industry solutions, growing industry subject matter expertise, building delivery capabilities and capacity, advancing client relationships, and supporting business development teams. He has 20+ years experience in the consulting and technology services industry serving clients and managing global and domestic practices. In the past he led key IBM consulting practices including the company’s global Retail and Consumer Products, global Smarter Commerce and the Growth Markets Application Innovation businesses. Steve began his career in store management at Sears, Roebuck & Co. then entered consulting with Ernst & Young. He serves on the National Retail Federation and Retail Industry Leaders Association boards of directors and as an advisor to the World Retail Congress. Steve serves his local community as a member of the board of directors for UCHealth Longs Peak Hospital. Colorado native. Has had a residence in Steamboat Springs since 1982. Interests include: Running, skiing, gardening, philanthropy, and spending time with her husband, three sons, and two grandchildren. Occupation: Physician (internal medicine/hospitalist). Chief Medical Officer at Yampa Valley Medical Center (2016-17). Occupation: Chris is an investor and entrepreneur. Mr. Osborn is current president and CEO of Coach Training Alliance, a global distance education school training and certifying life and executive coaches worldwide as well as offering organizational leadership development. He also serves as Chairman and President of Global Proppant Supply and Chairman of Aqua-Hot of Frederick, Colorado. Chris is the Vice Chair on the UCHealth Board of Directors and member of the PVHS Board of Directors. Second generation Fort Collins native, born at Poudre Valley Hospital. 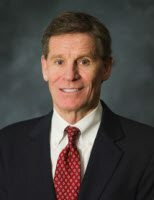 Occupation: Kevin is the President and Chief Executive Officer of Poudre Valley Hospital and Medical Center of the Rockies, two of five hospitals within the University of Colorado Health (UCHealth) system and oversees management agreements with Ivinson Memorial Hospital and Sidney Regional Medical Center.